A practice which began in the previous year continued in 2017 when a group of seven students from Columbia University and two from West Point Military Academy, led by Professor Victoria Phillips, visited OSA for a whole week. They conducted research and devoted themselves to writing their papers and presentations for the 8th Annual International Student Conference of the Cold War History Research Center at Corvinus University, which was co-organized by CEU’s History Department and the European Institute at Columbia University. The students came up with a variety of interesting and innovative topics, ranging from the very specific to quite broad ones, from complex ideological and political issues, to American "soft power" and its reflections in East and Central Europe. To mention a few: published propaganda for Hungary in the early 1950s, the history of the Hungarian Filharmonia Hungarica orchestra, which operated in exile after 1956, or the story of the child "goodwill" ambassador, Samantha Smith and her famous letter to the Soviet leader Andropov. Several researchers also pursued and concluded studies on the Hungarian 1956 revolution from the perspective of radio broadcasting: the Hungarian Revolution and BBC broadcasts; another student focused on domestic Hungarian radios and their transmissions during the same period. Broader research topics included themes such as state and religion, the secret services of the US and other countries and their influence, or the transnational discussion on domestic violence and feminism. 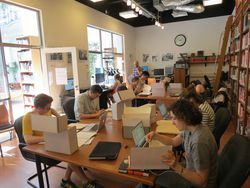 Students made great use of one of OSA’s largest collections: HU OSA 300 Records of the Radio Free Europe/Radio Liberty Research Institute, but other collections were consulted as well. 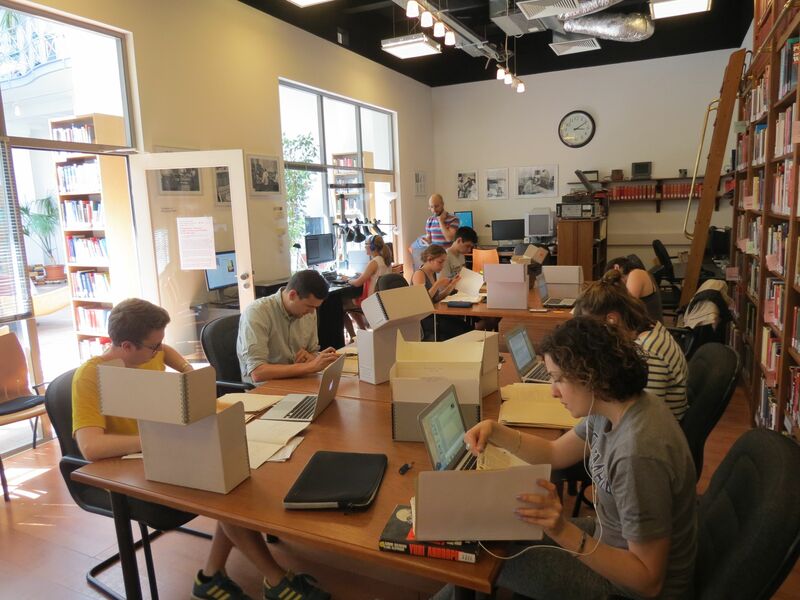 Blinken OSA is very happy to further stimulate research into its Cold War collections and hopes that the experience was productive and successful for all the students involved.